King Maintenance is a privately held corporation based in Austin, Minnesota that has been meeting the commercial cleaning, janitorial, and building maintenance needs of Fortune 500 companies and other commercial clients since 1996. We believe in forming long lasting partnerships with our customers and view our employees as our most valuable assets. At King Maintenance our staff is continually exploring new methods for improving the high level of service our customers have come to expect from us. We operate our business with honesty and integrity. Our clients know they can rely on us. Our employees feel the trust we place in them and appreciate their role on the team. Q: What’s our formula for success? A: We provide quality service at a low price for our customers while creating a fun and challenging environment for our employees. It’s that simple. 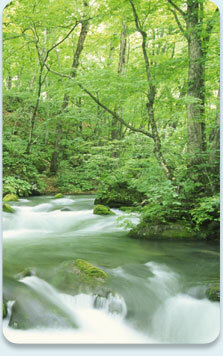 KMI believes in utilizing environmentally friendly products and practices. The use of “green” products has been shown to provide cleaner indoor air quality, which can increase employee productivity through higher morale and reduced absenteeism. We strongly believe it is our responsibility to do our part to preserve the environment. We continually strive to improve our methods and practices to this end. 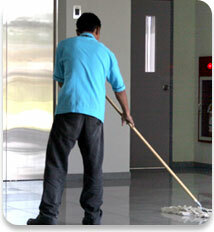 KMI’s President has over 30 years of experience in janitorial and building maintenance. In addition, KMI’s senior management team collectively brings 50 plus years of janitorial and management experience. We tailor our services to manage your building’s unique set of requirements. Our trained staff will provide your company with excellent skill and performance. All of our employees are continually cross-trained to maximize their effectiveness. Our management team works very closely with their supervisors to ensure the highest level of quality. Our supervisors continually perform quality control inspections at all of the facilities we service. This is a vital part of maintaining our accounts successfully.